God took us out of a life of darkness. He has put us in the holy nation of His much-loved Son. He has saved us from the kingdom of darkness. He has brought us into the kingdom of the Son he loves. 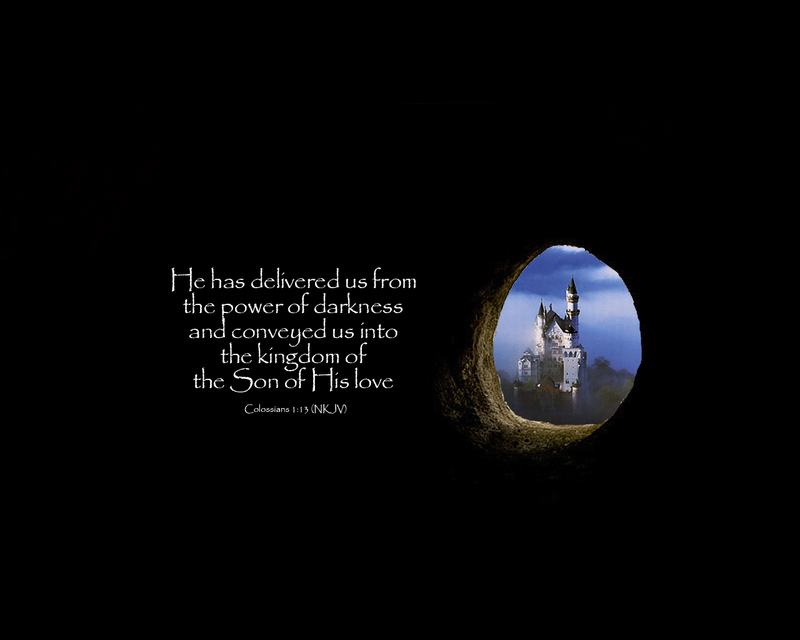 God has freed us from the power of darkness, and he brought us into the kingdom of his dear Son. God has rescued us from the power of darkness and has brought us into the kingdom of his Son, whom he loves. He has rescued us from the domain of darkness and transferred us into the kingdom of the Son He loves. He rescued us from the control of darkness and transferred us into the kingdom of the Son he loves.